Discover the Khan Academy of cryptocurrency! I need you to imagine. Think about online learning platforms like Khan Academy, uDemy or MIT’s OpenCourseWare. Now imagine one of those albeit with a twist focusing on teaching bitcoin and blockchain technology. But it doesn’t end there. Imagine if you were to receive a cryptocurrency token that can be exchanged for real value after you’ve finished a number of courses. Last but not the least, imagine being able to earn more by referring others to the program. The founders’ vision of revolutionizing education begins by combining a healthy mix of incentives and tokenized learning., and an affiliate program to boot. Blockchain technology stands to be more relevant in key and strategic industries. These are finance, identity management, lending, real estate and education. Some are even touting possible government usage as key factors in its development. This is particularly true in elections and citizen identification. 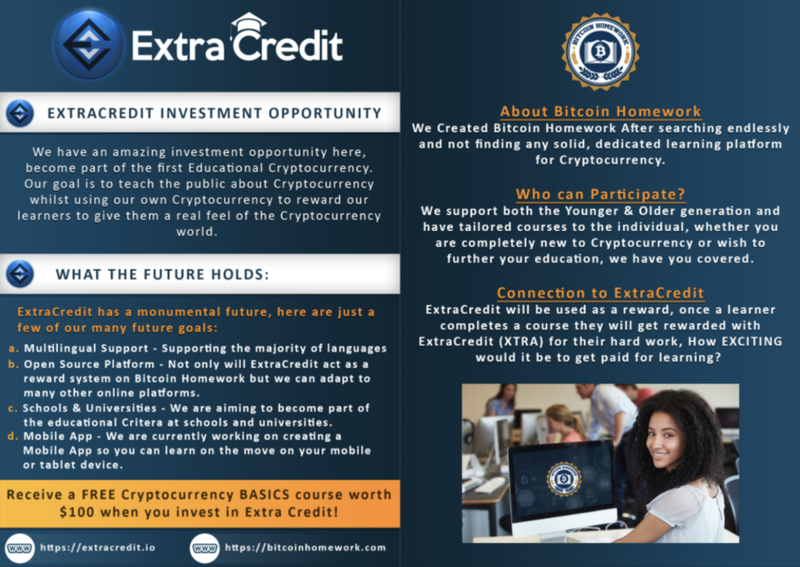 ExtraCredit and its BitcoinHomework site capitalizes on the urgent need to educate everyone. It aims to share the dream of how blockchain technology can — or will change their lives. Jack Tatar, Marketwatch Article “Why Bitcoin Investors Need Education and Regulation” 2014. Many governments have embraced cryptocurrencies and the blockchain technology in general. This includes Venezuela with its own Petro Coin. The Philippines’ Banko Sentral ng Pilipinas (BSP) crafted regulations for bitcoin companies. Crypto education is as important as learning HTML in the Pre-Internet 1990s age. Make no mistake about it, this is not only about Money 2.0, this is a financial disruption created on a scale that has never happened before. It’s not only bitcoin investors, regulators, traders, lawyers, developers and accountants who need this. It’s also about you and me. We cannot rely on social media, forums, twitter, and reddit to get our feet wet on bitcoin and cryptocurrencies. This would only cause confusion. There’s a lot of vitriol and conflicting information out there. Try to remember the Wild Wild West or the California Gold Rush in the early stages of American history. Like those times, there is a rush to gain a strategic foothold in the bitcoin space. There is a rush to control the disruptive aspect of cryptocurrency. Oftentimes this is and will be violent, crass and rudimentary. People with hedged positions will always give information that will benefit their interests. A good example of this is the conflict between Roger Ver, the main protagonist of Bitcoin Cash (BCH), against Blockstream (BTC). Both have their narratives. Both will seek to gain allies in their quest for market dominance. Whose side will you believe? For a neophyte, it can be as confusing as knowing the difference between SegWit and a User Activated Soft Fork. For those of us who aren’t in the know, we stand to enjoy an education that will offer a neutral playing field. Most of us need to learn about the projects’ technical aspects. We don’t need to take part in all the bickering. We only want to learn about how to make and take part in a productive ecosystem. Extra Credit is positioned to be the best in this space. The potential of cryptocurrency and the blockchain technology isn’t limited to speculation. Neither is it constrained in following the ups and downs of the candles in Poloniex. It’s about gaining an insight on how the future would look like once the technology co-opts the world’s system. It’s not only the financial system, it can be everything. The big players are already in. IBM, Wall Street hedge fund managers, billionaires like Mark Cuban and even Twitter’s Biz Stone are already in. They have already identified where they want to place themselves in this new game. The question is, where will you be in it? The negative press in the cryptocurrency ICO ecosystem has affected most projects. You cannot be faulted if you are reticent in parting with your hard-earned money. In Extra Credit, you gain value by promoting education. You gain value by helping others get educated. You gain value when the project’s value and token appreciates. You gain value when you learn. Unlike other ICO projects, the proof of concept already exists for Extra Credit in the form of BitcoinHomework.com. Go ahead, we encourage you to try some of the free courses, see what you think. Go ahead and download the Extra Credit whitepaper to get to know the project intimately. Have a chat with the team members, send them a message, an email or simply chat, you’ll be most welcome and accepted. 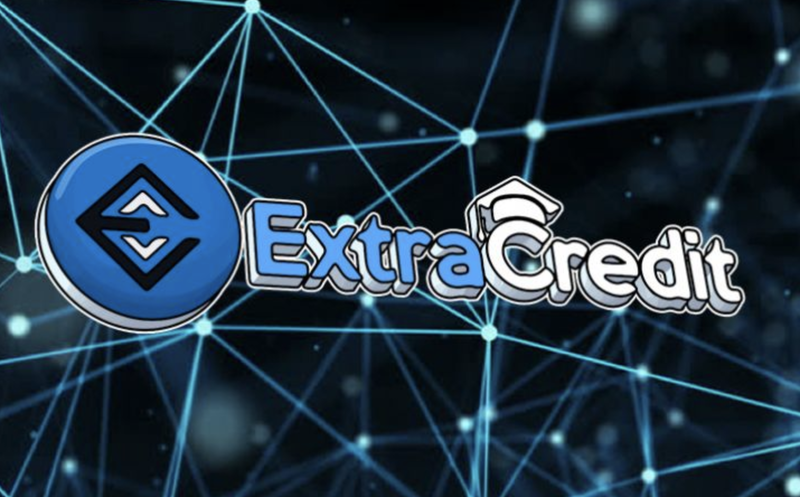 Go ahead and take a look at the Forbes.com article describing Extra Credit’s progress and mission. Huffington Post describes Extra Credit as the world’s very first educational cryptocurrency platform. Be a part of our amazing project.